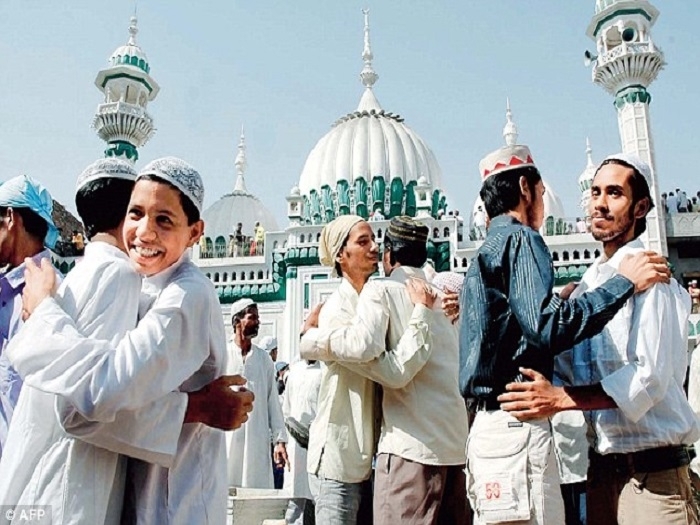 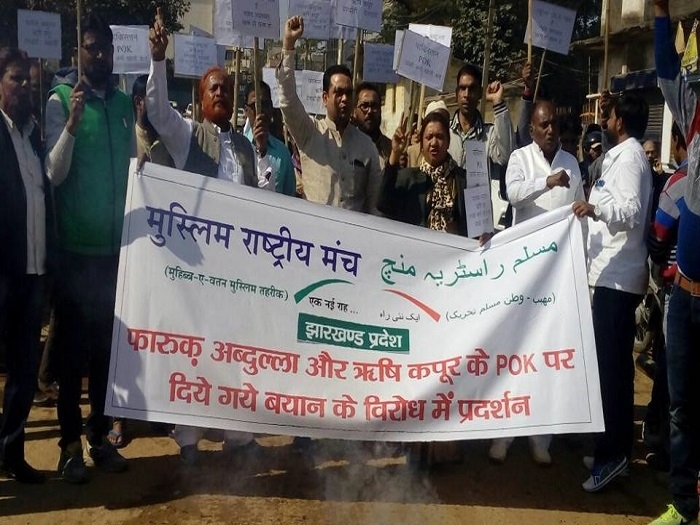 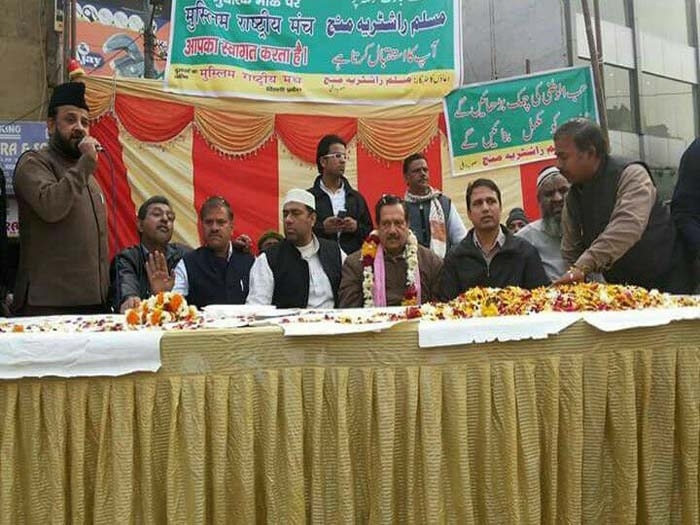 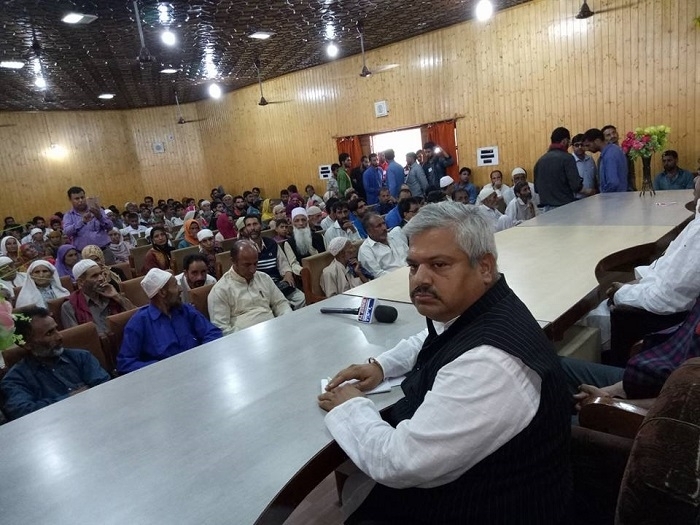 Lucknow/Nagpur, Dec 4: The activists of Muslim Rashtriya Manch (MRM) celebrated the birthday of Prophet Mohammad – Eid-e-Miladunnabi with religious and traditional fervour at various places in the country. 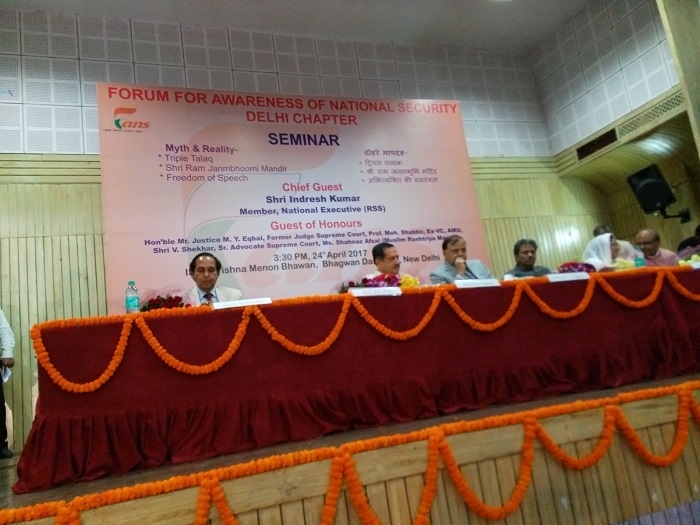 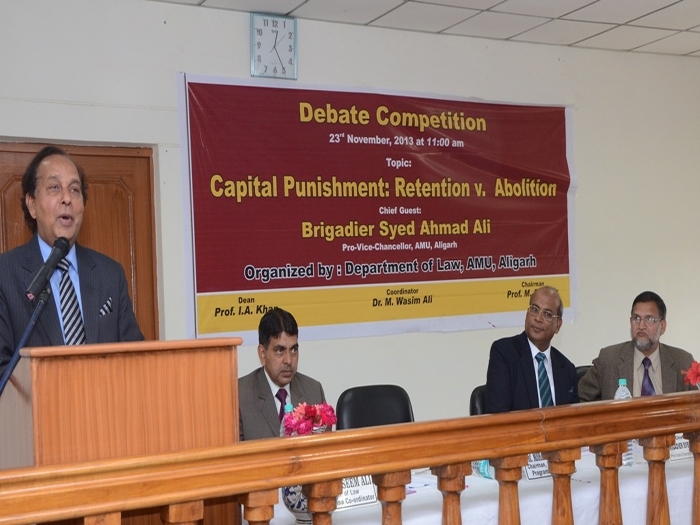 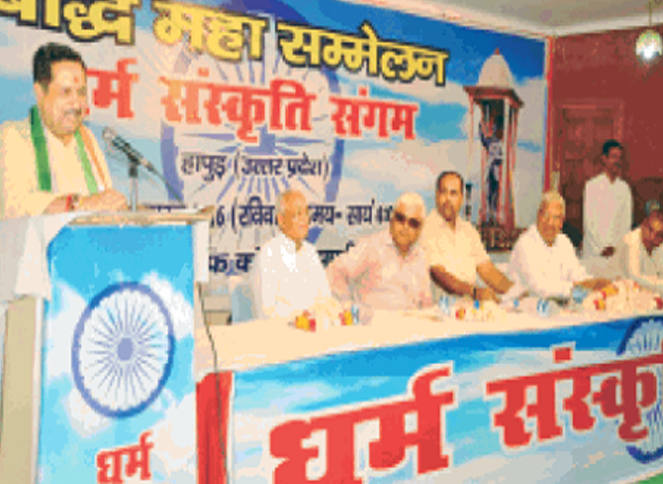 At a function in Lucknow, MRM Patron Ind..
New Delhi, Nov 17: Taking strong exception to the views expressed by former J & K Chief Minister and presently Lok Sabha MP Dr Farooq Abdullah on Pak Occupied Kashmir (PoK), the Muslim Rashtriya Manch (MRM) will observe November 29 as ‘Quit Po..
New Delhi, July 24: After successfully handling the mass agitation “Hum Hindustani-Jammu-Kashmir Hindustan Ka” the Muslim Rashtriya Manch (MRM) has embarked upon an ambitious plan to launch a country-wide agitation to highlight the issue of ..
New Delhi, June 26: The Muslim Rashtriya Manch (MRM), an RSS-backed minority organisation patronised by Sangh pracharak Indresh Kumar, has appealed to the community to take a collective vow with their Hindu neighbours not to let communal strife start in..
Nagpur, June 23: RSS Nagpur Mahanagar Sanghchalak Rajesh Loya, Shyam Deshmukh of Sarva Panth Samadar Manch, BJP MLA Sudhakar Deshmukh and MRM National Convener Virag Pachpore were conspicuous by their presence at the Roja Iftar party organized by Muslim..
Ayodhya, June 16: In an attempt to sensitise the Muslim community about the significance of cow in the holy month of Ramzan, Muslim Rashtriya Manch (MRM) setting up the new precedent on Thursday hosted an Iftar party in Ayodhya, where Muslims broke..
New Delhi, June 6: The Muslim Rashtriya Macnh (MRM) organised a Roja Iftar party at Delhi's prestigious Jamia Milia Islamia on Monday. 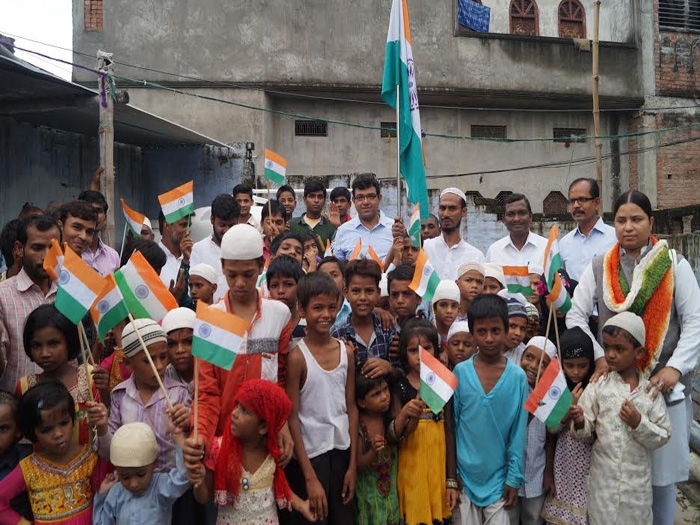 The participating ‘Rojedars’ were served cow milk to break their fast (Roja). 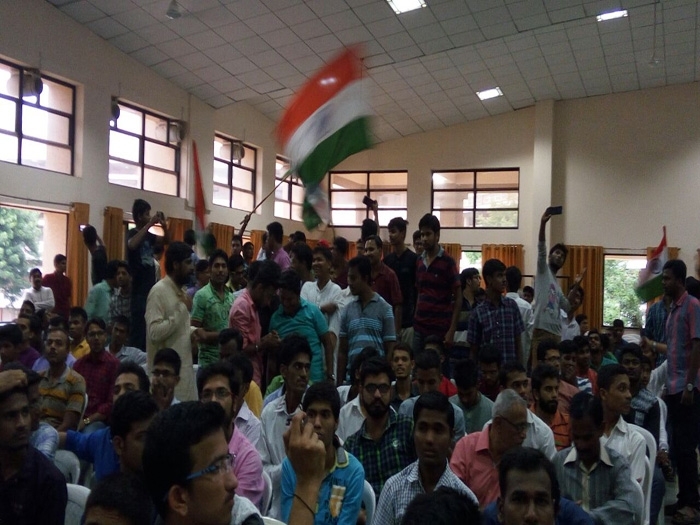 Over 500 students, teachers..
Bhopal/Varanasi/New Delhi, June 1: While the entire country is enraged over killing of an ox in Kerala by some over zealot Youth Congress activists opposing the Union Government’s decision to ban sale of animals for slaughter houses, the Muslims R..
New Delhi, May 4: Muslim Rashtriya Manch (MRM) activists approached the Supreme Court seeking intervention in response to the petition filed by Tahseen Poonawalla demanding complete ban on ‘gau rakshaks’ (cow vigilante) across the country. 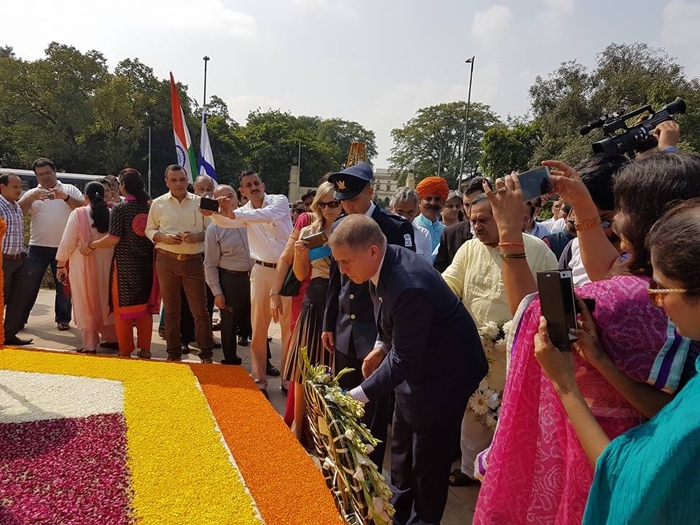 ..
नयी दिल्ली: फोरम फॉर अवेयरनेस ऑफ नेशनल सिक्योरिटी (दिल्ली चैप्टर) की ओर से 24 अप्रैल, 2017 को कृष्ण मेनन भवन, भगवान दास रोड (सुप्रीम कोर्ट) में ट्रिपल तलाक, श्री राम जन्‍मभूमि मंदिर और अभिव्‍यक्ति की स्‍वतंत्रता पर दोहरे मापदंड को लेकर एक से..
New Delhi, Apr 25: Member of RSS National Executive and Patron of Muslim Rashtriya Manch (MRM) Indresh Kumar Monday claimed that Muslims in India would not accept a mosque named after any individual as it was against the Islamic tenets. 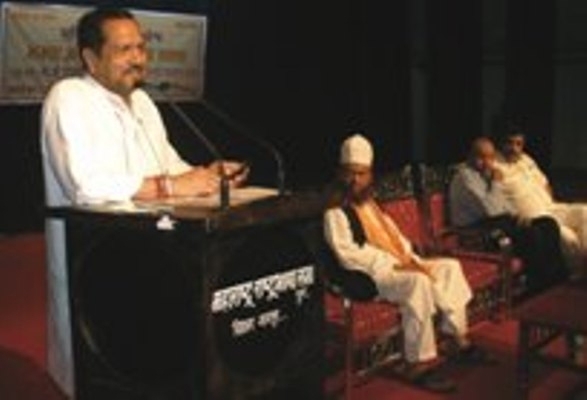 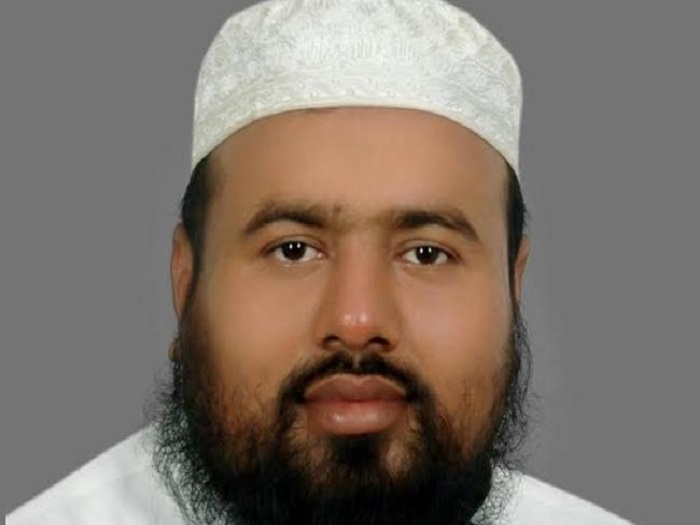 Addressing a se..
Nagaon (Assam), Apr 25: A custom like triple talaq is not in vogue in any of the Islamic countries in the world, said Jamaat-e-Ulema-e-Hind President Moulana Suhaib Qasmi here on Sunday. 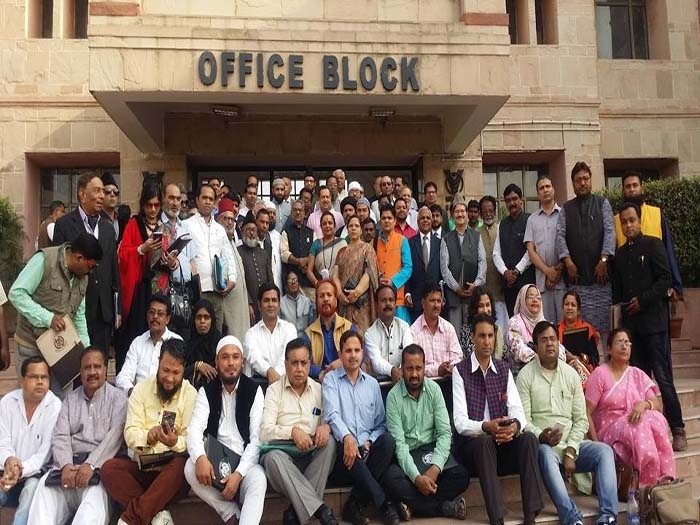 Addressing a press conference at the Circuit House here on Sunday..
Aligarh, Apr 10: Vice-President Mohd Hamid Ansari’s wife Salma Ansari asked the Muslim women not to listen to the Maulanas and other clergy on Triple Talaq issue. 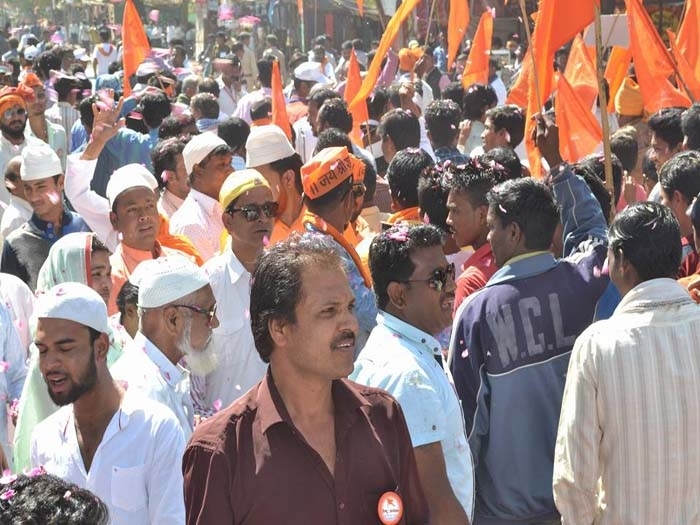 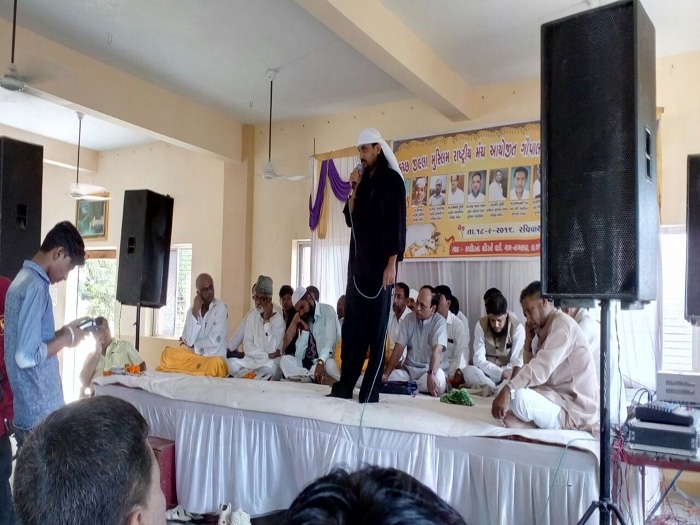 Slamming the Muslim clergy she said that uttering ‘talaq’ three times d..
Betul, Feb 9: Hundreds of activities of Muslim Rashtriya Manch (MRM) welcomed the massive procession on the occasion of Hindu Sammelan held at Betul in presence of RSS Sarsanghchalak Dr Mohanrao Bhagwat on February 8. 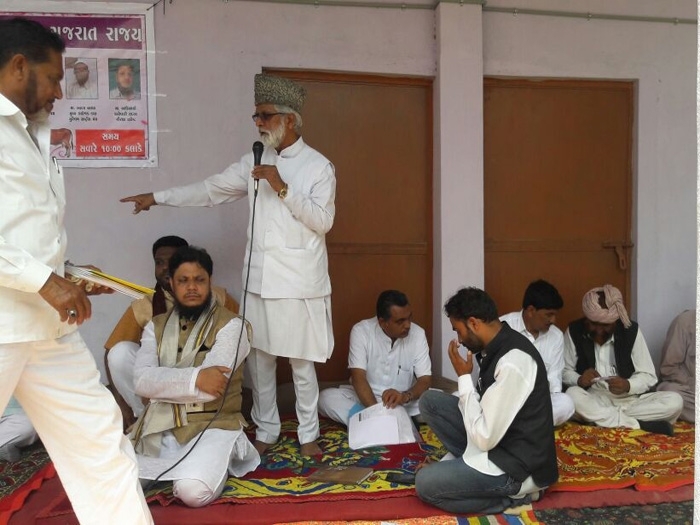 The MRM activists showered flowers..
जबलपुर, दिनांक १७: तीन तलाक के विरोध मे मुस्लिम राष्ट्रीय मंच 31 जनवरी को जबलपुर मे विशाल महिला सम्मेलन का आयोजन करने जा रहा है. 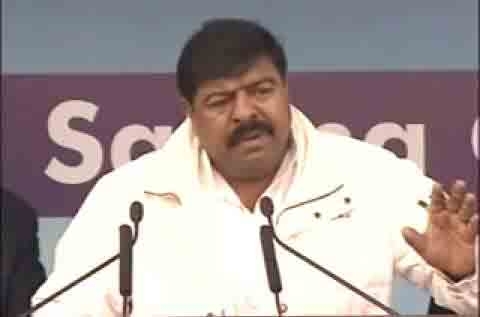 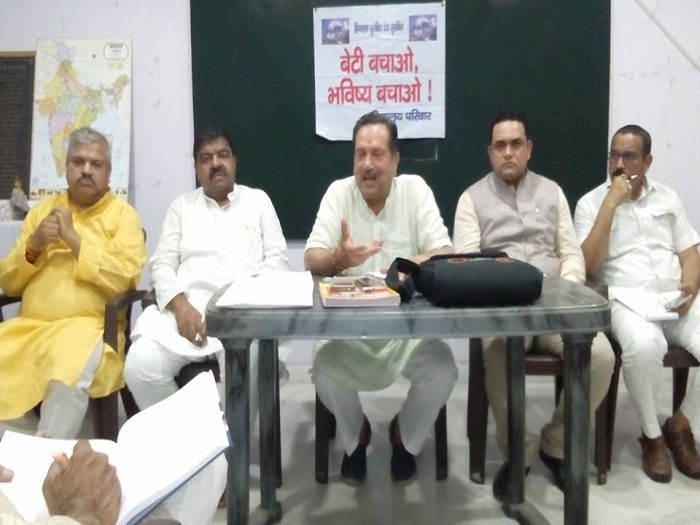 यह जानकारी मंच के राष्ट्रीय सह-संयोजक एवं म.प्र शासन के राज्यमंत्री एस. 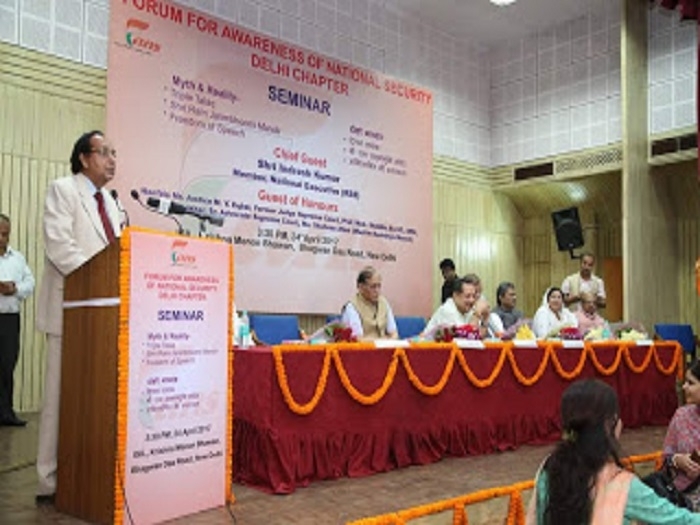 के. 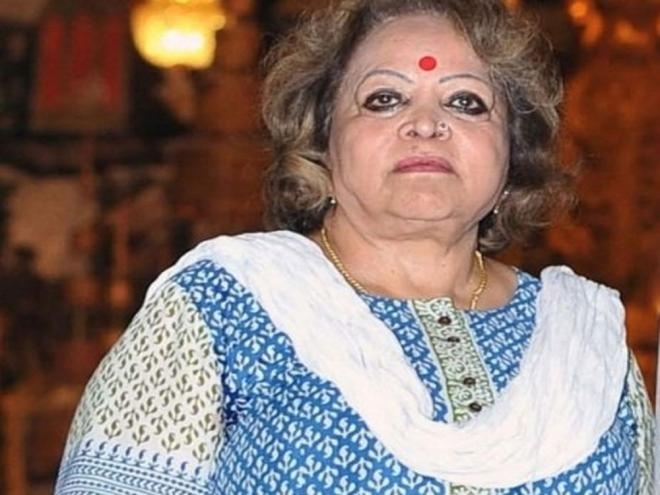 मुद्दीन ने पत्रकारों को दियी. 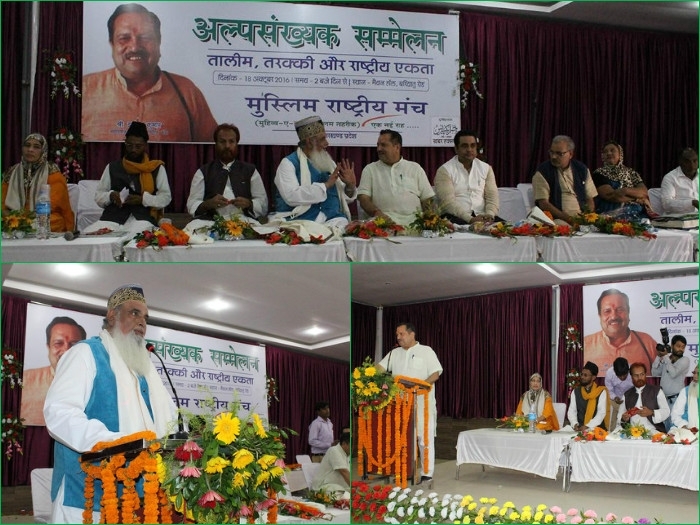 इंडियन कॉफी हाउस ..
Glimpses of the Muslim Intellectuals' meeting convened by Muslim Rashtriya Manch in New Delhi on November 3, 2016 By Firoz Bakht Ahmed During the interactive exchange between the RSS ideologues and the Muslim intellectuals, the historic keynote addres..
Aligarh, Dec 12: Former Dean of Law Department of Aligarh Muslim University (AMU) Prof Mohammad Shabbir revolted against the All India Muslim Personal Board on the issue of Triple Talaq. 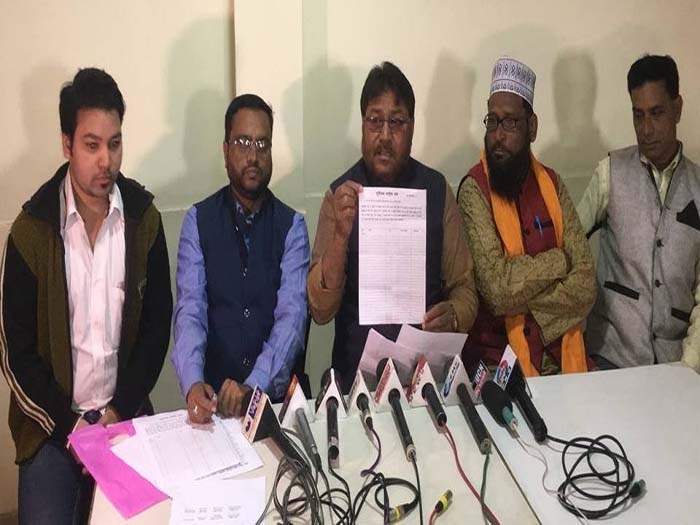 Staying away from the Kolkata Meeting of the AIMPLB on this issue..
New Delhi, Dec 5: The Muslim Rashtriya Manch (MRM) will launch a nationwide campaign for one national law for all citizens of the country irrespective of their religions or castes. 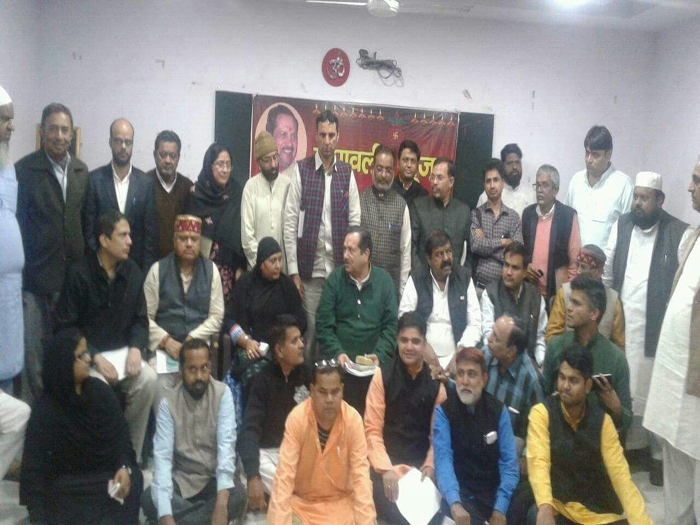 This decision was taken at a recently held meeting of the national leve..
New Delhi, Nov 8: Slamming the All India Muslim Personal Law Board (AIMPLB) for its rigid and obstructionist attitude in addition to preconceived notions about the Uniform Civil Code (UCC) and triple talaq, Mohammad Afzal said that some orthodox section..
रांची, 18 अक्तूबर: “तलाक यह खुदा को सबसे नापसंद गुनाह है. 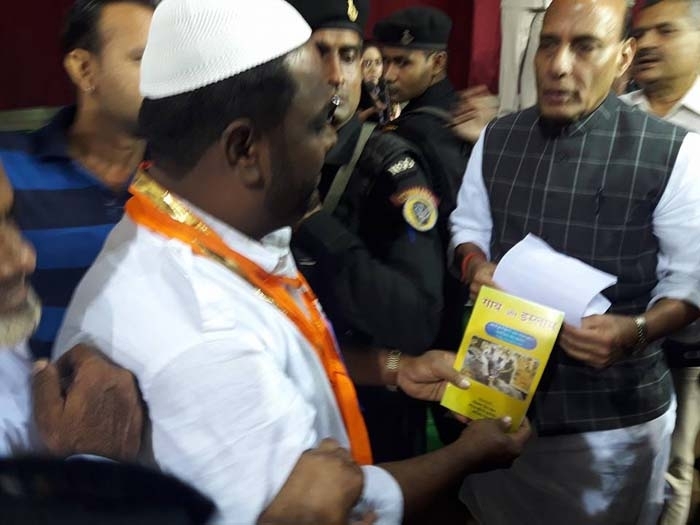 इस मुद्दे पर मुस्लिम समाज को जागरूक होने की जरुरत हैं”. 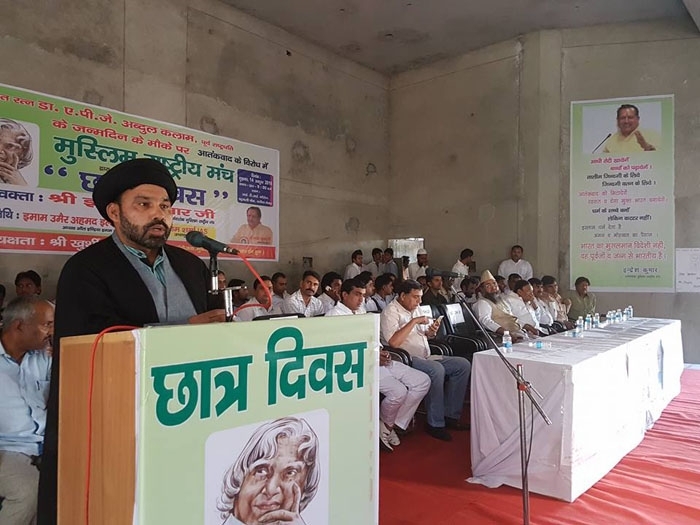 यह कहना हैं मुस्लिम राष्ट्रीय मंच के मार्गदर्शक और राष्ट्रीय स्वयंसेवक संघ के वरिष्ठ प्रचारक श्री इन्द्रेश कुमार का. 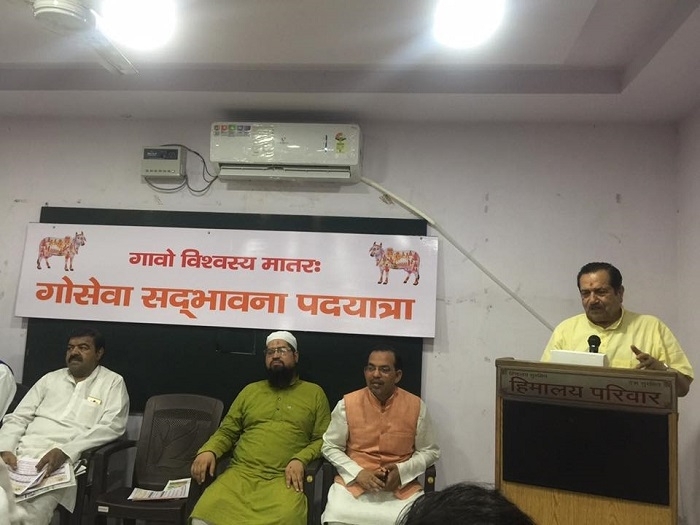 इन्द्रेश ..
Vadodara, Oct 16: Hundreds of Muslim Gaurakshaks will participate in the proposed All India Gaurakshak Sammelan in New Delhi next month. 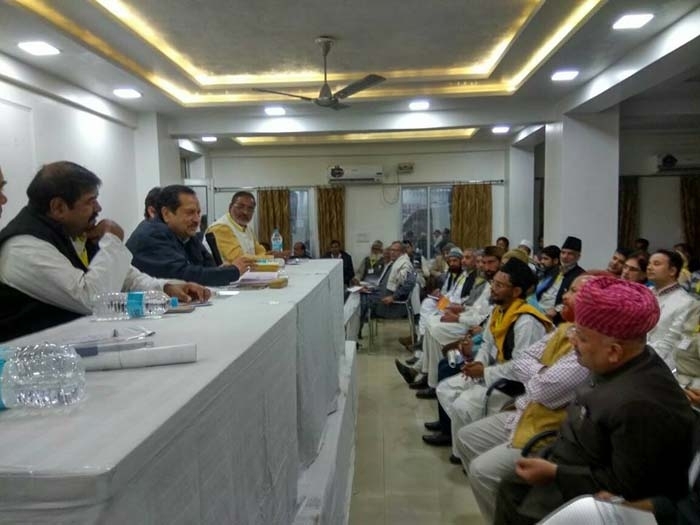 This was decided at a meeting of Gujarat State Gauraksha Samiti under the patronage of Muslim Rashtriya Manch (MRM)..
नई दिल्ली, अक्टूबर 12: देश के लिए मर मिटने का जज्बा पैदा करने, आतंकवादमुक्त, दंगामुक्त और तालीमयुक्त भारत का माहौल बनाने के लिए मुस्लिम राष्ट्रीय मंच हजारों लोगों का संगम यूपी के आगरा में करेगा। यह संगम नवंबर में होगा। आरएसएस ..
Anjar (Bhuj), Oct 6: Muslims in India are integral part of the Indian society and share ancestors, culture and motherland with the Hindus. 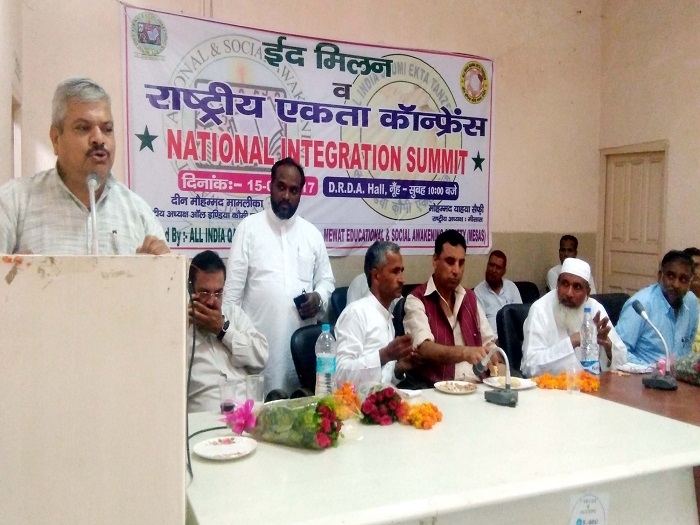 The need is to make them realise this underlying current of unity in diversity, said Muslim Rashtriya Manch (MRM) ..
गंजबासौदा (मध्य प्रदेश)। मुस्लिम राष्ट्रीय मंच मध्यभारत जिला विदिशा के जवाहर रोड स्थित कार्यालय मे हैफा दिवस पर वीर शहीदो को श्रद्धांजलि पेश की गई वही 22 सितंबर 1857 को शहीद हूऐ बहादुर शाह जफर के दो पुत्र एक पोते की शहादत पर दुआ की गई । इस अवसर पर मंच ..
New Delhi, Sept 9: In view of the coming festival of Eid-Uz-Azha (Bakri Id) the MRM has taken up a mass awareness program among the Muslims community regarding cow slaughter. 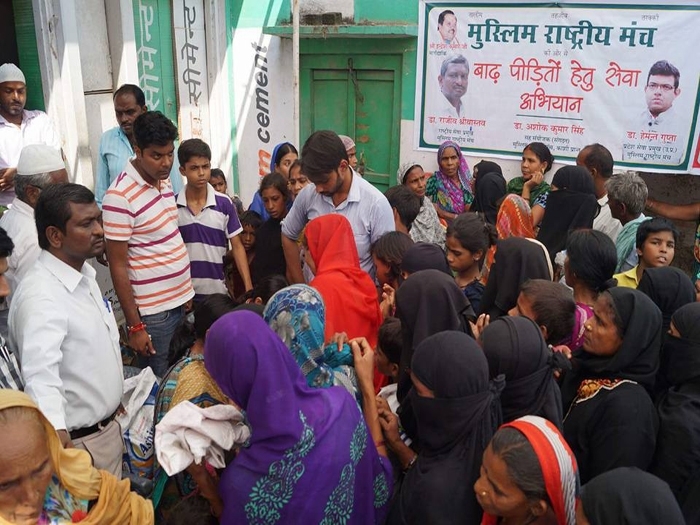 It may be mentioned that a few days ago Prime Minister Narendra Modi had warned..
Varanasi, Aug 23: Food packets were taken to those families affected by floods in the Ganga on behalf of Muslim Rashtriya Manch (MRM) Sewa Prakoshth, Vishal Bharat Sansthan, Anaj Bank, Panchganga Foundation and Social Media Society in Varanasi and surro..
Varanasi, Aug 17: On the eve of 70th Independence day a flag hoisting programme was organised by Muslim Rashtriya Manch (MRM). 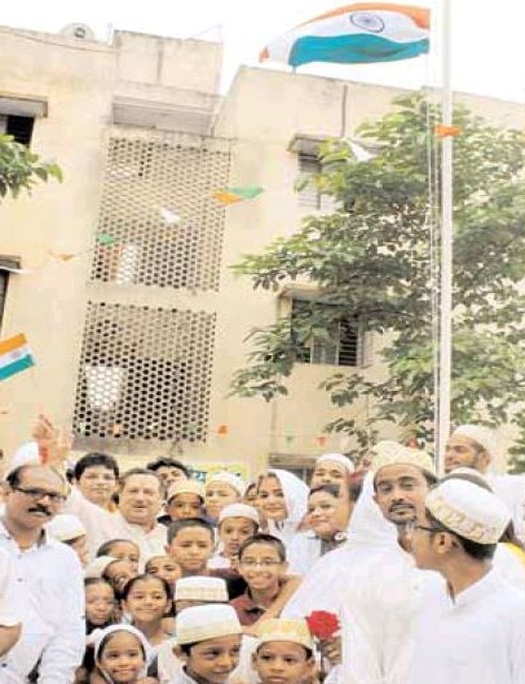 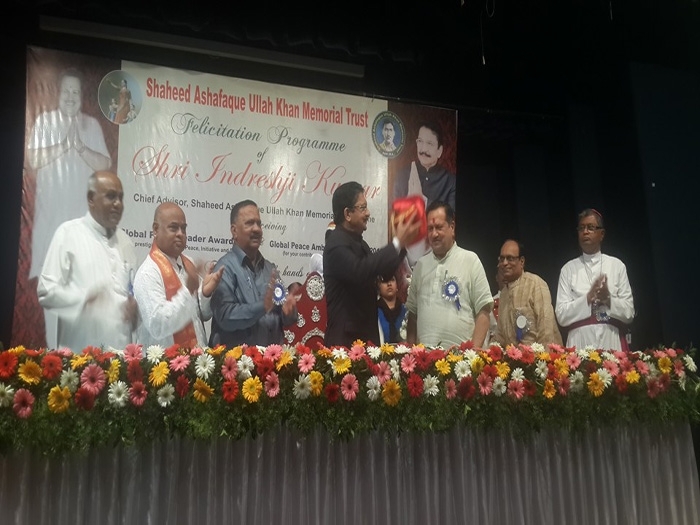 The programme took place at Madrassa Darul Kuran near Shammagulab locality. 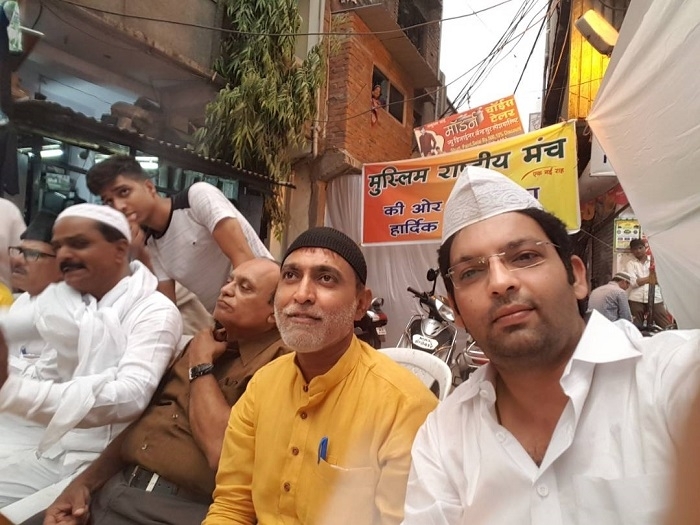 Members of the Muslim community were present..
Dr Sanjeev Kelkar It could not have been grander and stranger than it was! 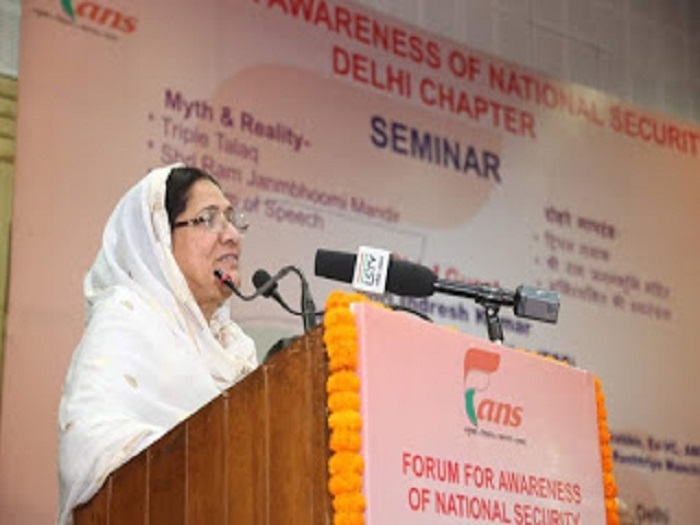 A full hall in the most central location of Garware College where an organization called Muslim Rashtriya Manch (MRM) and the Shaheed Ashfaque Ullah Khan Memorial Trust, felicit..
New Delhi, Nov 30: Thousands of activists of Muslim Rashtriya Manch (MRM) in India gave vent to their anger and angst against the ‘anti-national’ statements of former J & K Chief Minister and presently Lok Sabha Member from Srinagar Dr F..
Kupwara (J & K), Aug 9: Coinciding the 75th anniversary of the historic ‘Quit India” movement, the Muslim Rashtriya Manch (MRM) gave a clarion call to the Kashmiri people, particularly the youth, to give up the culture of guns, drugs, st..
नूंह (मेवात), जुलाई 18: देश में इन दिनों चल रहे हालात को ध्यान में रखकर समाजसेवी संगठन मिसास और राष्ट्रीय कौमी एकता तंजीम के सौजन्य से शनिवार को डीआरडीए हाल नूंह में ईद मिलन एवं राष्ट्रीय एकता कांफ्रेंस का आयोजन किया गया। कार्यक्रम में हिन्दू , मुस्लिम..
New Delhi, June 23: Muslim Rashtriya Manch was launched after 2002 Gujarat riots under the guidance of the then RSS chief K S Sudarshan to reach out to Muslim community. 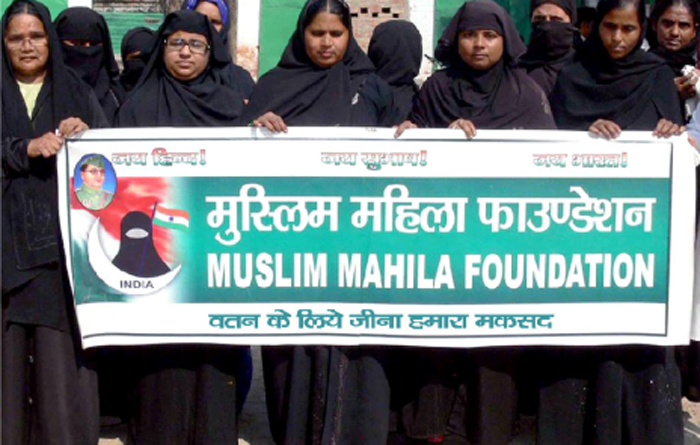 Today, the organization claims to be fastest growing Muslim outfit in India. 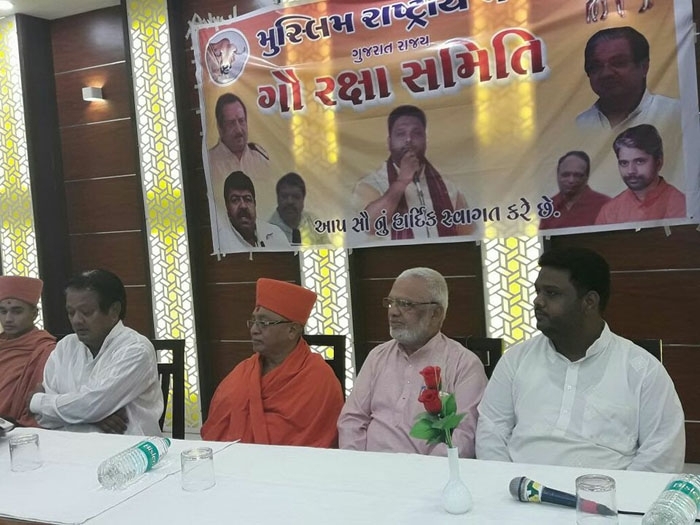 In an ..
रायपुर, जून २३: अंतरराष्ट्रीय योग दिवस पर बुधवार को रायपुर के नगर निगम उद्यान में मुस्लिम राष्ट्रीय मंच ने योग शिविर लगवाया। मंच के राष्ट्रीय सह-संयोजक डॉ. 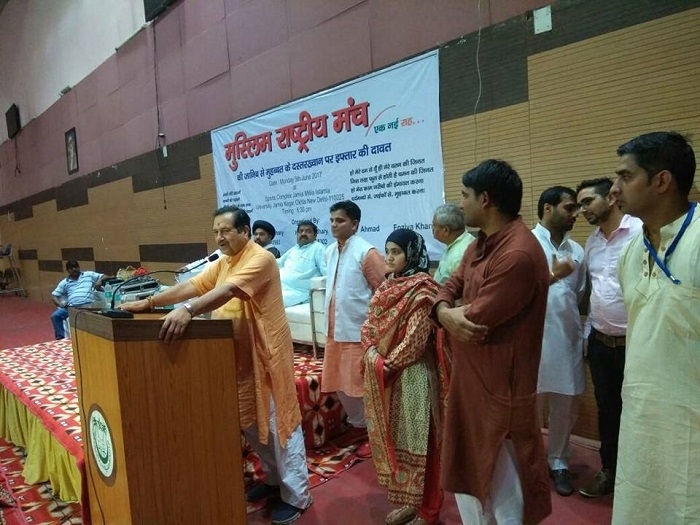 सलीम राज के नेतृत्व बड़ी संख्या में मुस्लिम समुदाय के लोग शामिल हुए। मुस्लिम समुदाय के बहुत से ल..
New Delhi, June 8: The central office of the historic ‘save cow’ padayatra campaign was inaugurated at Sangat Bhavan, in New Delhi on Wednesday. 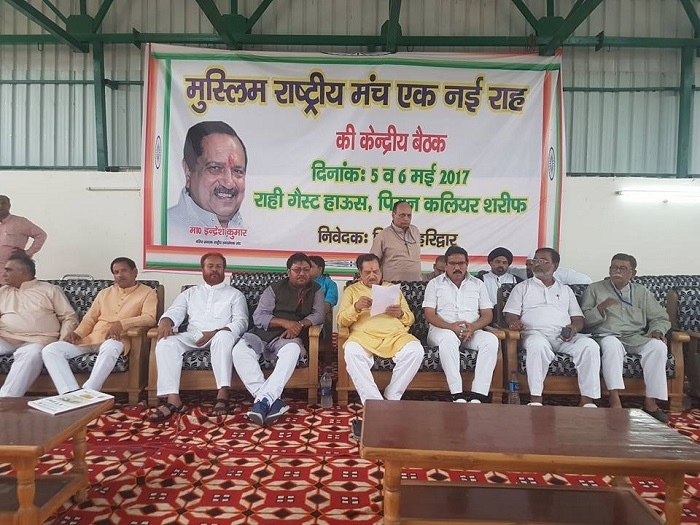 Organised by the Muslim Rashtriya Manch Gau Seva Prakoshth the yatra is named as "Gau Seva Sadb..
Jaipur, June 2: Describing those indulging in organising beef parties and creating tension in the countyr as 'satans, senior RSS functionary Indresh Kumar said that those who killed the cow in Kerala were murderers of humanity. 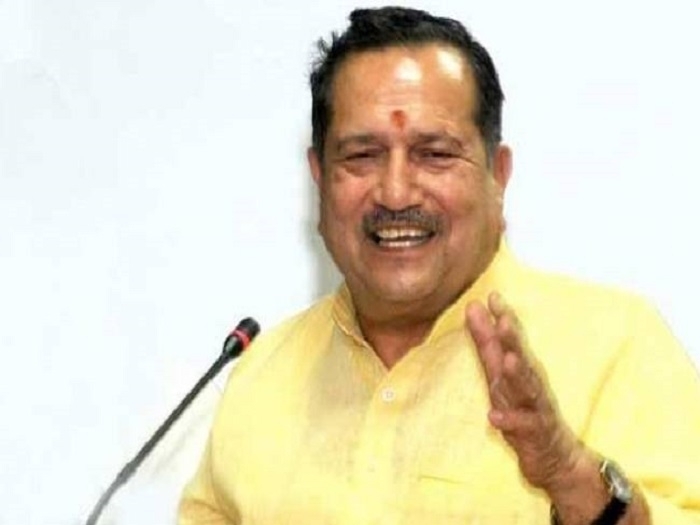 Making an oblique refere..
Kaliyar Sharif, May 10: Senior RSS functionary and Patron of Muslim Rashtriya Manch (MRM) Indresh Kumar appealed to the Muslim community to come forward to end the inhuman system of triple talaq, protect the cow and build a grand temple at the bir..
Faruk Ahmad Khan In reviewing the loss and gains of Indian Muslims it would be imperative and in tune to review the various ups and downs and major incidents of the last one hundred years (1917-2017) in an impartial manner. 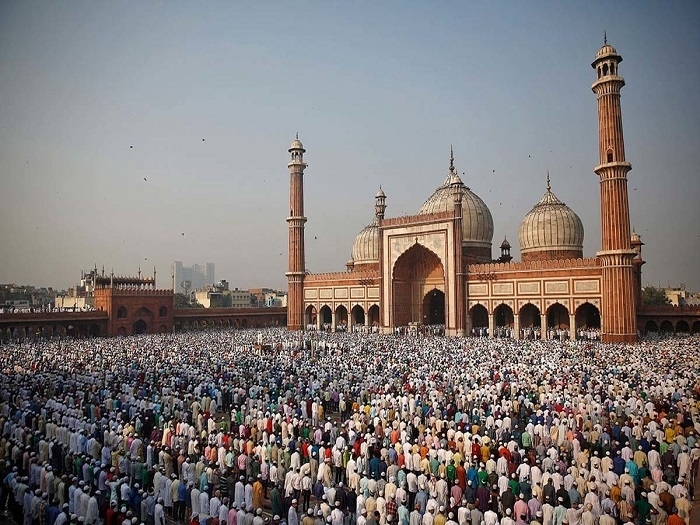 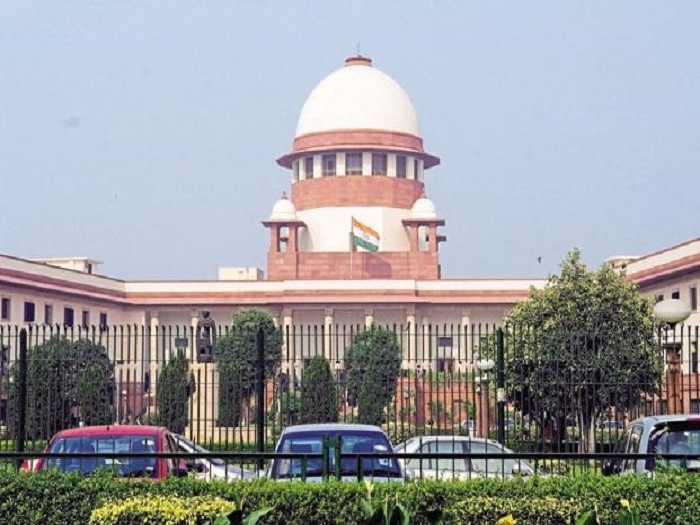 The provision of religion-b..
New Delhi, Apr 25: Triple talaq is crime and excess against Muslim women. 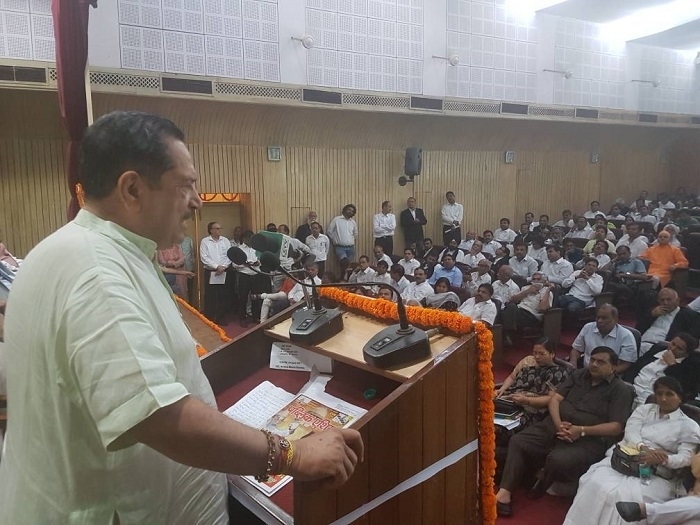 This should be abolished as early as possible, said Indresh Kumar here on Monday. 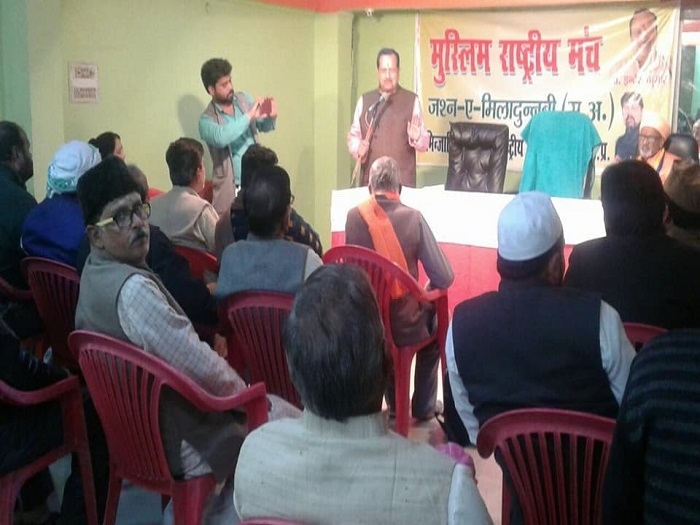 Addressing a seminar on Myth and Reality of Triple talaq, Ramjanmabhoomi and Freedom of Speech&r..
New Delhi, Feb 9: The Muslim Rashtriya Manch (MRM) launched its 10-day ‘Insaniyat Jagao Abhiyan’ (Arouse Humanity campaign) in a simple yet attractive ceremony held at various places in the country, informed Girish Juyal, National Conve..
All India Imam Council President Imam Umer Iliyasi welcoming Prime Minister with a flower bouquet New Delhi, Jan 20: A delegation of Muslim Ulemas, intellectuals, academicians and other eminent people called on Prime Minister Narendra Modi on January 1..
MRM Patron Indresh Kumar addressing a function after flag hoisting o Independence Day at Bohra Madrasa in Nagpur (File photo) New Delhi, Jan 16: With a view to increasing participation of Muslim community in celebrating the Republic Day, the Muslim Ras..
नई दिल्ली, दिसंबर 26: अगले महीने 26 जनवरी को गणतंत्र दिवस के राष्ट्रीय पर्व में मुस्लिम समुदाय की भागीदारी बढ़ाने के लिए मुस्लिम राष्ट्रीय मंच (एमआरएम) ने जोर-शोर से काम करना शुरू कर दिया है। संगठन का कहना है कि इसके लिए उन्होंने एक व्यापक अभियान की योजन..
New Delhi, Dec 9: The historic decision of Allahabad High Court on triple talaq has underlined a big win for Muslim women in their fight against fundamentalism, said senior RSS leader and Patron of Muslim Rashtriya Manch (MRM) Indresh Kumar. 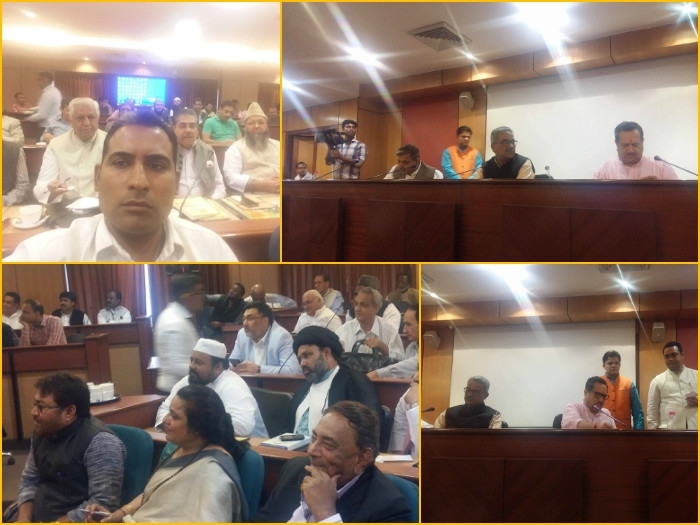 Welcoming ..
New Delhi, Nov. 8: Hundreds of Muslim men and women ‘gau bhaktas’ from Gujarat participated in the national convention of ‘gau bhaktas’ held at Jawahar Lal Nehru stadium here on November 6. 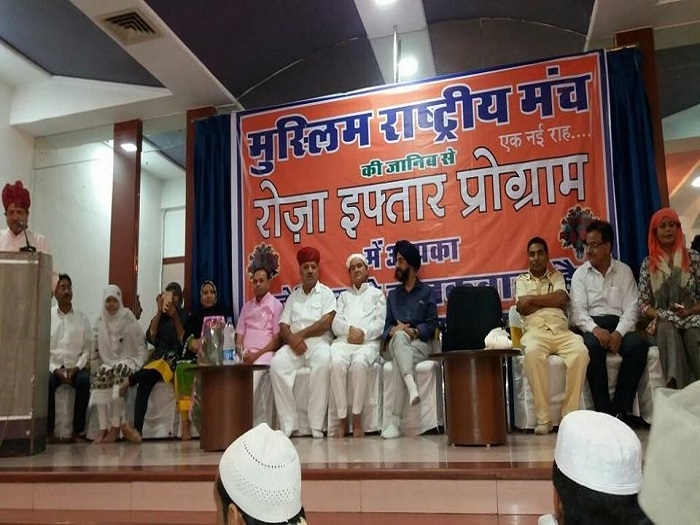 The national convention was organized ..
New Delhi, Nov 4: While the political atmosphere in the country is filled with issues like Triple Talaq and Uniform Civil Code (UCC), the Muslim Rashtriya Manch (MRM) took an initiative to hold a meeting between top RSS leaders and Muslim intellectuals ..
Lucknow, Oct 18: Condemning the All India Muslim Personal law Board’s (AIMPLB) stand for using sharia to perpetuate patriarchy, many Muslim women activists and organizations have now started their campaign for Uniform Civil Code in India. 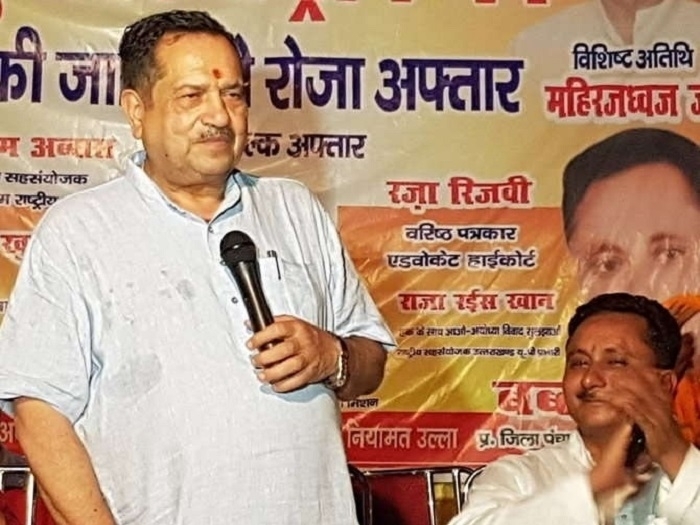 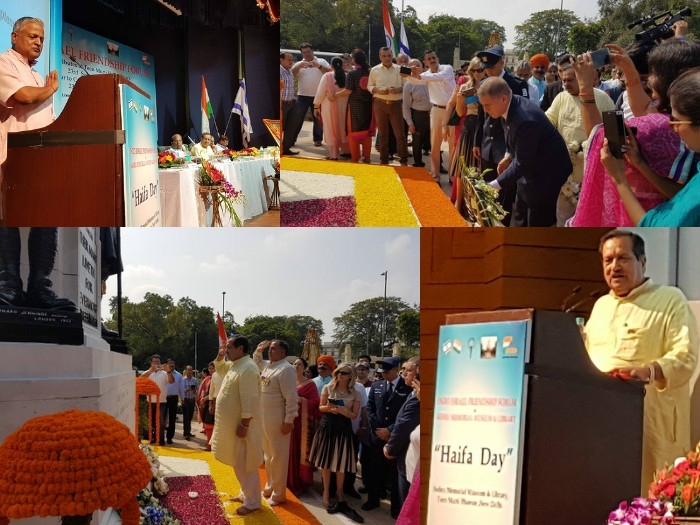 Most of..
Nuh (Haryana), Oct 16: Muslim Rashtriya Manch (MRM) Patron and senior RSS functionary Indresh Kumar flagged off the anti-terrorism youth rally from Nuh in Haryana on Friday. 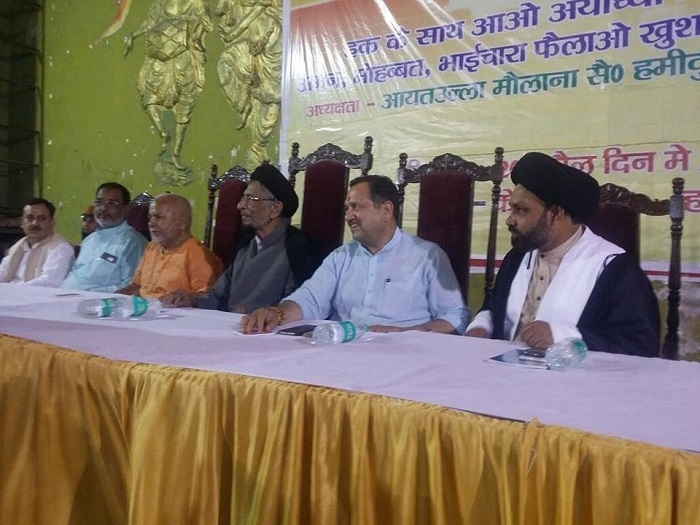 The occasion was birth anniversary of former President Dr. APJ Abdul Kalam and..
New Delhi, Oct 12: Muslim Rashtriya Manch (MRM) is contemplating a huge rally of Muslim in Agra with an objective to awaken the Muslims against terrorism and violence besides injecting in them a liking for education to rid India of the menace of..
Bhuj, Oct 6: The government has provided financial schemes for supporting those engaged in rearing milch animals and Muslims engaged in this profession should avail of these schemes and facilities, said Mohd Faiz Khan, National Convener of Muslim ..
New Delhi, Sept 24: Addressing a gathering at a program organised to commemorate the anniversary of battle for Haifa and sacrifice of Indian soldiers there, Indresh Kumar, member of RSS national executive committee demanded that all the facilities given..
Nurpur, Sept 10: Separatist Kashmiri leaders are not real well-wishers of the Kashmiri people. 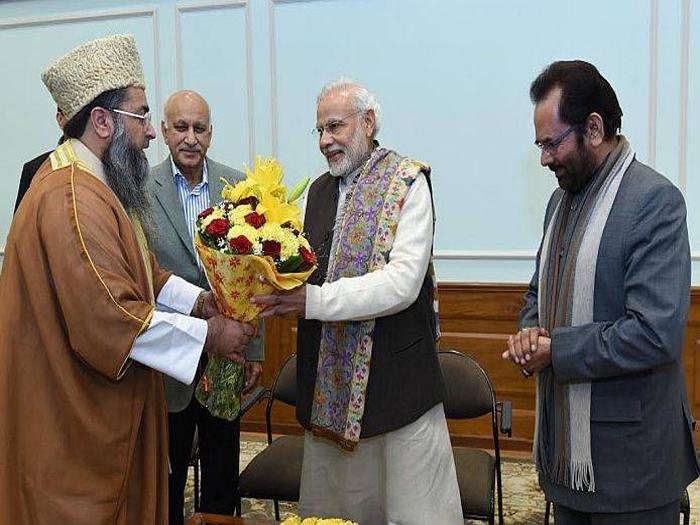 They are hypocrites of the first order. 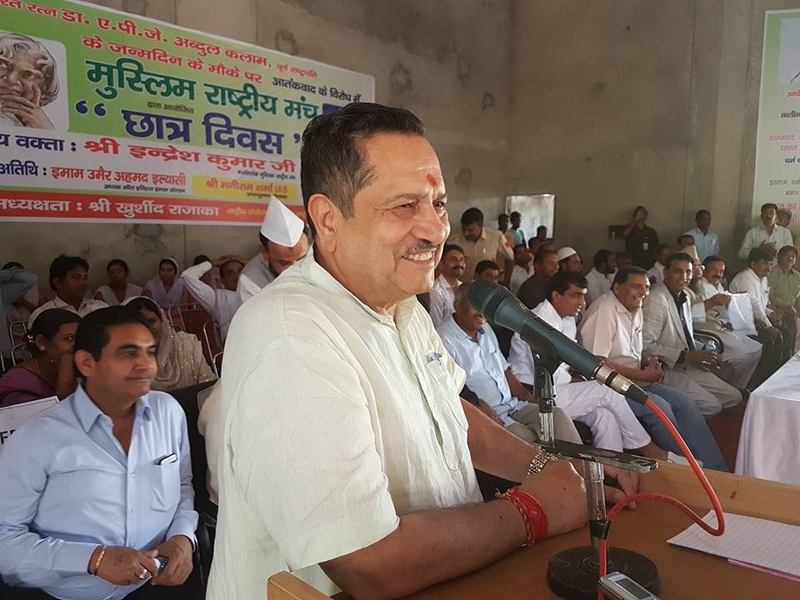 Had they really cared for the Kashmiri people they would have participated in the discussion with the all-party d..
Hapur (UP), Aug 23: The controversial Art 370 was introduced in the Constitution at the insistence of Pt Jawahar Lal Nehru, disclosed Indresh Kumar, a member of RSS Akhil Bharatiya Karyakari Mandal and Patron of Dharm-Sanskriti Sangama here recentl..
Nagpur, Aug 17: Praising the efforts of Muslim Rashtriya Manch (MRM) and Rashtriya Swayamsevak Sangh (RSS) to create an atmosphere of peace, brotherhood and communal harmony in the country the President of Dawoodi Bohra Community Sheikh Shabir Firdi app..
Milind Ghatwai : Bhopal, Sat Dec 29 2012, 01:52 hrs Muslim Rashtriya Manch, an organisation floated by the Rashtriya Swayamsevak Sangh, on Friday said more than seven lakh Muslims have become signatories to a campaign to revoke Article 370 and to scrap t..